Quality cable by Whirlwind is a tweed style vintage cloth covered cable. 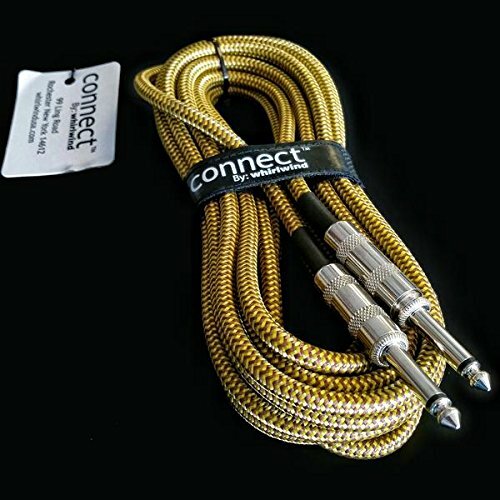 This cable offers performance with a classic look that has a nice cloth covering. These are very popular in the shop. This cable is 20 ft long with 2 standard 1/4" ends. Great for bass, guitar, keyboard, acoustic electric, or any instrument you want to plug in. You can be assured with Whirlwind you always get a quality product. Whirlwind now in their 40th year.